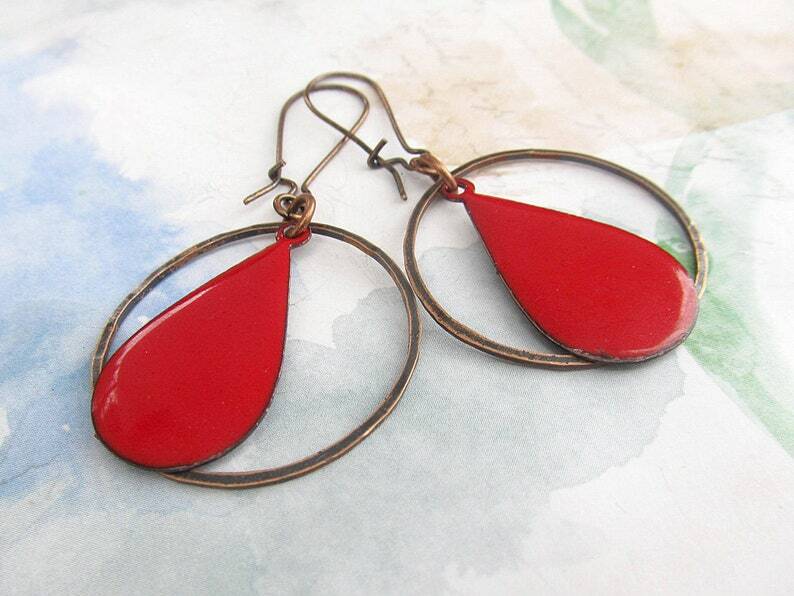 I enameled with a torch these copper tear drop charms in red. Then hammered copper hoops and dangled the enameled charms in the center. 2 1/4 inches long (from top of ear-wire to bottom of charm). Your earrings will be mailed in a pretty silver foiled gift box via First Class mail. I got so many compliments on these earrings. Shipped very fast.